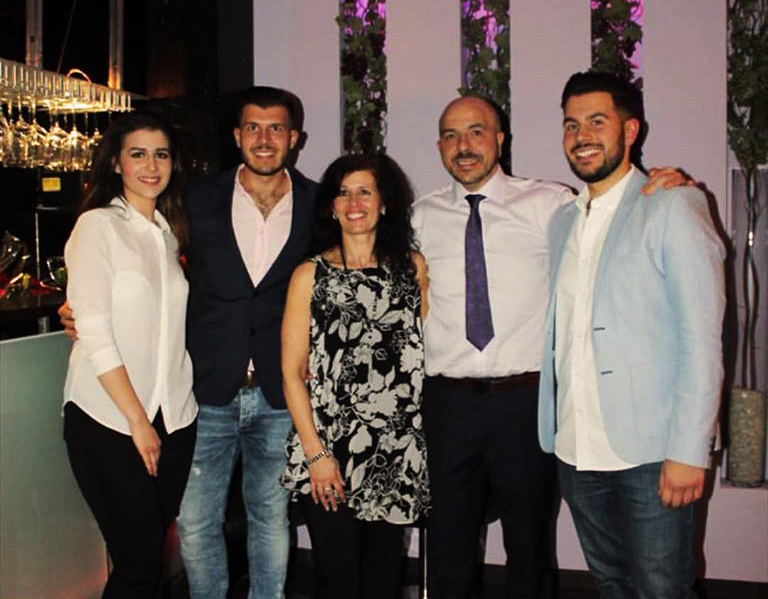 Rigatoni`s is an multi award winning Italian restaurant, family run by Stefano and Maria with their children Adriano Valentino and Cinzia. Stefano was only seven when he came to Scotland and has always dreamed of opening his own Italian restaurant and pizzeria so he can use his Nonna`s recipe that has been passed down the generations. Stefano is from Caiazzio that’s near the Caserta regions of Italy near Napoli were his Nonna Diamantina gave him her secret recipe for a pizza base that is unique to Edinburgh. Made from lievito di madre (mother dough) which gives his pizzas an authentic Neapolitan taste and using authentic Italian ingredients you would be forgiven if just for a moment you thought you were sitting in a pizzeria in Napoli. Our pastas dishes are cooked from fresh to order and served al dente the way pasta is meant to be. From our homemade lasagne to our selection of risottos and a section of seafood dishes. Steak is offered from our chef`s special board. We also serve Gluten free Pasta. We have a selection of award winning ice cream from Equi`s which is fantastic. Enjoy one of our ice cream desserts to a homemade Tiramisu or homemade Nutella cheese cake to end off the night an espresso or cappuccino. We have a selection of Italian wines, beers, liqueurs and Sanpelligrino soft drinks for to enjoy with your meal.